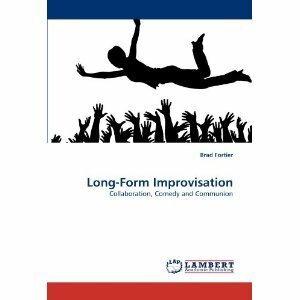 I just published a social science analysis of Long-Form Improvisation. If you’re interested you can buy it here. It focuses on why this form of improvised theater tends to bring people into this peculiar sense of communion through performance and how that can affect audience enjoyment. This book also looks into what contributes to keeping us away from this feeling/state. It’s all based on an ethnography I did in Rochester NY back in 2007. It’s an interesting read for the science-minded. My next book is going to be based on the talk I’ve been developing on the larger picture of the anthropology of improvisation. Keep your eyes out for that.